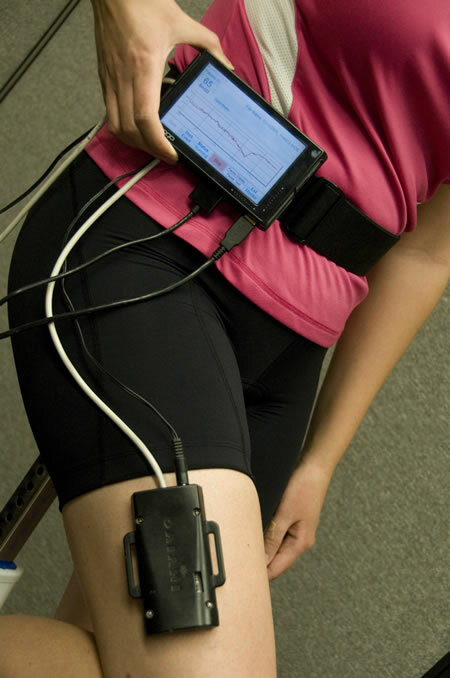 The Venus prototype sensor and portable monitor uses a needle-free, noninvasive method to measure blood and tissue chemistry, metabolic rate (oxygen consumption) and other parameters for NASA astronauts in space. Venus will present a highly desirable alternative to painful needle sticks and bulky equipment to accept blood samples. This picture shows the Venus prototype system in use. Placed directly on the skin, the four-inch by two-inch sensor uses near infrared light (that is just beyond the visible spectrum) to take the measurements. Blood in tiny blood vessels absorbs some of the light, but the rest is reflected back to the sensor. 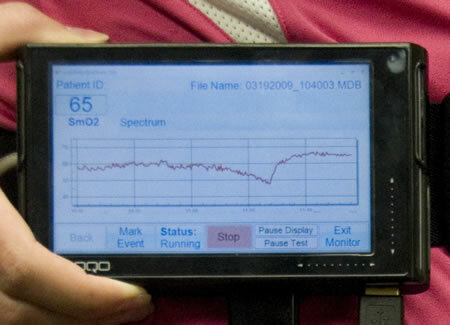 The monitor analyzes the reflected light to determine metabolic rate, along with tissue oxygen and pH. One unique advantage of Dr. Soller’s near infrared device is that its measurements are not impacted by skin color or body fat. The Venus sensor and portable monitor will have direct application here on Earth as well. The Venus system could also be used in hospitals to monitor pediatric and long-term care patients; both groups of patients are particularly sensitive to the multiple needle sticks required for care. It could also be used for coaches of elite athletes. Dr Soller and her colleagues are currently working to reduce the size of the device, improve its accuracy and develop the capacity to run on batteries. Ideally, I'd like Dr. Soller to get this device as small as the advanced medical sensor shown in the following video. Starfleet will be grateful, and so will Dr. McCoy, who is offended by barbarous medical technology like sticking a metal needle into a patient. He's a doctor, not a butcher! From Venus medical sensor and portable monitor; via jackofallgeek.